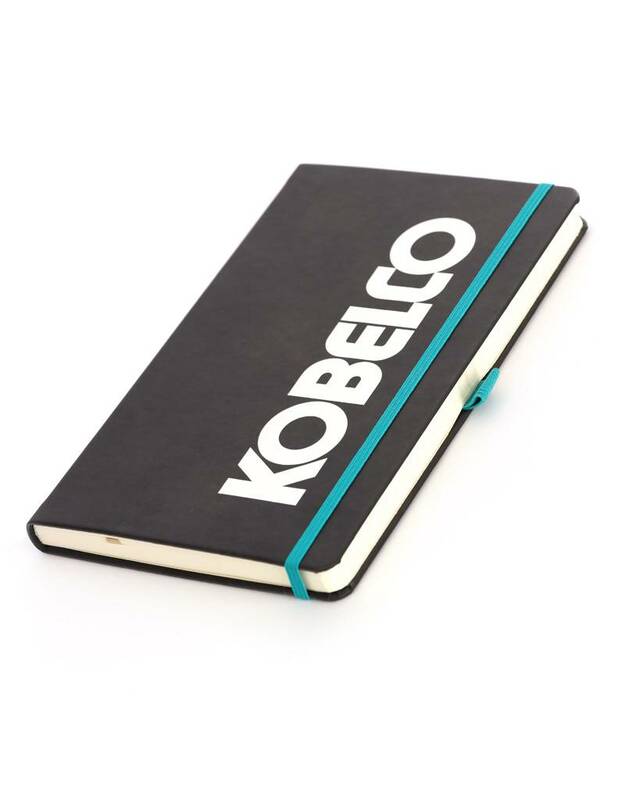 Anthracite hard cover notebook with Kobelco logo printed on front. Ruled paper and bookmark. 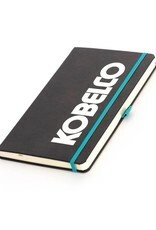 The notebook closes with elastic band and has an elastic penholder.